Volkswagen India has always managed to stay on headlines by introducing the refreshed versions and new variants of its models. Recently, it has rolled out a brand new petrol trim in its compact crossover model series, which is christened as Volkswagen Cross Polo 1.2 MPI . This latest trim is powered by an advanced 1.2-litre petrol engine under the hood that can deliver a mileage of 16.47 Kmpl. Apart from this, this new trim gets all the aspects that are already available in its existing diesel counterpart. Its exteriors are fitted with a lot of sporty cosmetics like side skirts, aluminum bumper cladding, roof rails and a rear spoiler, which gives it a breathtaking look. At the same time, this hatchback also gets an enchanting interior design featuring a lot of metallic and high gloss black accents. Its dashboard is integrated with a stylish three spoke, flat-bottomed steering wheel, which is wrapped with premium leather upholstery. The seats inside are quite wide and well cushioned, which can provide better support to the body. On the other hand, there are number of features incorporated inside like Climatronic automatic AC unit, height adjustable driver's seat, electrically adjustable outside mirrors and parking sensors. At present, this vehicle is positioned against the likes of Toyota Etios Cross, Fiat Avventura and Ford EcoSport in the Indian automobile market. There is no doubt that this latest compact crossover looks stylish in terms of its appearance, thanks to its sporty cosmetics. It has black colored skirts and moldings all round, which emphasizes its aggressive stance. To start with the front facade, it has blackened headlight cluster, which is powered by halogen lamps. It surrounds a wide radiator grille that is skilfully fitted with a horizontally positioned slat and embedded with the company's logo. The front bumper has a dual tone design and a massive air intake section unlike any other vehicle in the Volkswagen's portfolio. Furthermore, it is also fitted with a silver garnished lower cladding along with a pair of fog lamps, which gives a dynamic look to its front facade. Coming to the side facet, its door panels are fitted with massive moldings, while the lower section has protective claddings. Interestingly, its roof rails along with ORVMs are garnished in aluminum, which gives it a distinctive look. This model series is blessed with a sturdy set of five spoke design alloy wheels, which further adds to its sporty stance. This newly launched vehicle has a total width of 1698mm along with a height of 1483mm and a decent length of 3987mm. Coming to the interiors, this Volkswagen Cross Polo 1.2 MPI trim has a resplendent interior design featuring a lot of metallic and glossy black accents. It has an attractive dual tone color scheme, which is highlighted by elegant illuminated control switches. Its dashboard has a layered design featuring a large center fascia and a small instrument cluster. It is equipped with aspects like a climate control unit, music system along with a few drink holders. The most attractive aspect of the cabin is its flat-bottomed steering wheel that is skilfully decorated with chrome accents. Right behind this, there is an instrument cluster featuring a color screen and two analogue gauges, which displays all the important information related to this compact crossover. All the seats have integrated side bolsters along with adjustable head restraints and are covered with fabric upholstery. There is an ample leg space available inside the cabin, as it is built with a long wheelbase of 2469mm. Powering this trim is the 1.2-litre petrol engine that has a displacement capacity of 1198cc. This MPI mill comprises of 3-cylinders based on DOHC valve configuration and it is integrated with a turbocharger. This enables it to produce an immense power of 74bhp at 5400rpm that results in a pounding torque output of 110Nm at 3750rpm. The automaker has skilfully mated this motor to a five speed manual gearbox that sends out the torque output to its front wheels. At the same time, it helps the vehicle to give away a peak mileage of approximately 16.47 Kmpl, which is rather decent. The automaker has blessed this vehicle with a rack and pinion based electric power assisted steering system, which is further integrated with speed dependent control and supports a minimum turning radius of just 4.97meters. As far as braking is concerned, its front wheels are fitted with ventilated disc brakes and the rear ones are skilfully mated to drum brakes, which offers efficient braking performance. In addition to this, it also has anti lock braking system and electronic brake force distribution, which is helpful to provide a skid-free driving experience. 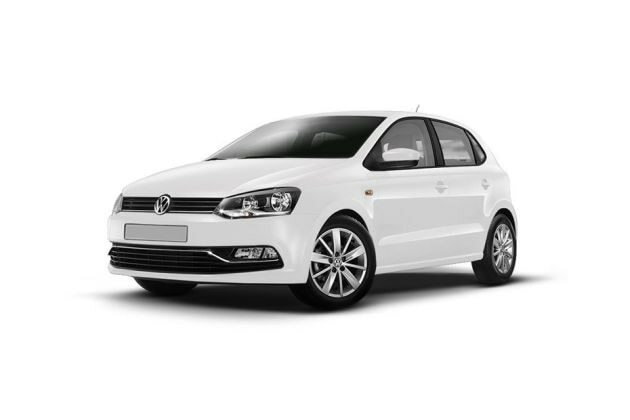 This Volkswagen Cross Polo 1.2 MPI trim is bestowed with all the essential comfort features, which eventually provides a fatigue-free traveling experience. Its dashboard houses an advanced Climatronic automatic air conditioning system including dust and pollen filter, which is helpful to regulate the air temperature inside. It also has a Mono chrome multi-functional display that displays outside temperature, time, fuel levels, digital trip meter and a few other such aspects. The list of other features including height adjustable driver's seat, tilt adjustable steering wheel with multi-functional switches, remote control central locking, electrically adjustable outside rear view mirrors, rear parking sensors and power operated outside mirrors with one touch up/down function. Furthermore, the manufacturer has also integrated with a proficient music system with CD player including radio tuner. This system also has connectivity options for AUX-In, USB, and Bluetooth devices for seamless audio streaming. This hatchback is built with a high strength lightweight aluminum material, which is fully galvanized to prevent formation of rust. It also has crumple zones and impact protection beams, which can deal with the impact that is caused in case of any collision. On the other hand, it also has features like anti lock braking system, dual front airbags, front fog lamps, electronic engine immobilizer with floating code, power windows with anti-pinch protection and powerful halogen headlamps. 1. Sporty exterior cosmetics makes it look stunning. 1. More safety features can be added. 2. Low ground clearance and boot volume is a disadvantage.